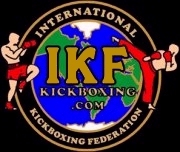 "IKF In Gym Training Event"
IKF Locker Room Inspectors: Chris Fields, Victor Zaragoza & Jesse Pineda. (**) Marko Torres' Full Physical was accepted for today's "SPARRING" However, he will need a NEW FULL PHYSICAL for his next event, sparring or real bout. Christian Zetina has been issued a 30 Day Disciplinary Suspension Until April 6th, 2016 for excessive contact after warnings at rules meeting and during bout. Stopped in 3rd round. (**) Due to weight spread, round time was cut and contact was additionally limited. (**) Melvin Torres' Full Physical was accepted for today's "SPARRING" However, he will need a NEW FULL PHYSICAL for his next event, sparring or real bout. Joel Chavez has been issued a **60 Day Suspension until May 6th, 2016 for excessive contact after warnings at rules meeting and during bout. The bout was allowed after **Chavez came in overweight with the clear stipulation that the bout would be very light. Stopped in the 1st round. The following bouts did not take place as scheduled. Darren Gallegos has been placed on a 30 Day "No Show" Suspension until April 6th, 2016. VS Cody Mariner (Elk Grove, California, USA, 0-0, Rick Fortes, (916) 996-8390) Cancelled? Neither showed.